If you’re concerned that you or your child might have asthma, your primary care doctor will likely refer you to an allergy doctor. An allergy doctor is a specialist who can perform diagnostic tests to determine whether you could have asthma. Tests such as a lung function test will help your allergy doctor accurately diagnose asthma. Before you undergo any tests, your allergy doctor will review your medical history. Be sure to inform the doctor of any medications you’re taking and any medical conditions you’ve been diagnosed with, such as allergies. Mention whether you have a family history of asthma, eczema, hay fever, or similar conditions. Your allergy doctor will also ask you about your symptoms. Some common symptoms include shortness of breath, wheezing, and frequent coughing. Discuss the frequency of your symptoms and at which times they tend to occur. 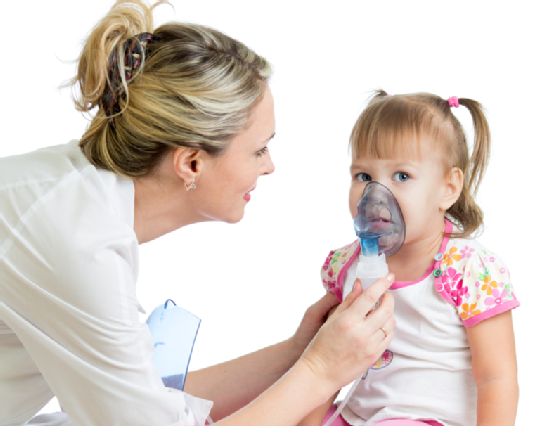 Spirometry is a pulmonary function test that evaluates the amount of air you’re capable of exhaling. It also measures how quickly you can breathe out. During this test, you’ll breathe into a special mouthpiece that is attached to a spirometer, which is a recording device. You can expect to exhale as intensely as possible into the mouthpiece. For an accurate diagnosis, the allergy doctor is likely to ask you to exhale three times. This test can determine whether your airways are obstructed. An inhalation challenge test is much like spirometry; however, it measures the amount of air you can inhale and how quickly you can inhale it. The test is commonly administered before and after taking an inhaled medicine. Since 1989, Allergy & Asthma SpecialistsSM has been proud to serve families in the King of Prussia area. Our allergy doctors are dedicated to upholding the highest standards of patient care. If you would like to schedule an appointment for an asthma screening, contact us at 1 (800) 86-COUGH. Board certified allergists/immunologists comprise the entire physician staff of Allergy & Asthma Specialists. Allergy doctors at this premier medical practice provide comprehensive allergy and asthma diagnostics and state of the art treatment, including two types of immunotherapy, at offices located in center city Philadelphia, Blue Bell, King of Prussia, Jenkintown, Doylestown, Lansdale, Pottstown, and Collegeville, Pennsylvania. Schedule today online at www.AllergyandAsthmaWellness.com or by calling 1-800-86COUGH.